Allison Woodworth is an Assistant Engineer providing support on traffic engineering and transportation planning services. Allison Woodworth graduated from the University of California, Los Angeles in 2018 with a B.S. in Civil and Environmental Engineering. 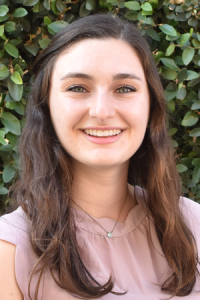 Her course work included several transportation engineering and transportation planning classes, which spurred her interest in complete streets and the future of autonomous vehicles. Allison has prior internship experience in the transportation sector preparing signal timing and conducting field work. Growing up in the Bay Area, Allison used many modes of transportation, most recently a dockless scooter, and she is excited to be working in the field that will shape transportation in and around the Bay Area in the future.